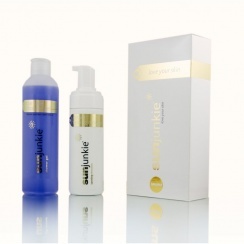 The Sunjunkie Light and Gradual self tanning collection. The perfect self tanning products for people who rock the pale look. The Sunjunkie Light and Gradual self tanning collection. The perfect self tanning products for people who rock the pale look. Choose from our gradual tanning products and luxury light tanning mousses.